So often, we hear about baseball players playing for the love of the game. Whether it’s in reference to the grind of a long, major league season, the commitment of minor leaguers who are often paid a pittance to be on the field, or in the stories of amateur players in anticipation of the draft, the expression has never been more meaningful than in all the times it has been said at Women’s Baseball World Cup competitions. Women have been playing baseball for decades, though the only professional league that currently exists is in Japan, where the most players can earn is a salary equivalent to a little less $20,000 USD per year. Nowhere else in the world are women paid to play the game, though Australia is attempting to begin its own circuit next year. In most countries, female baseball players have to pay to play. Women on national teams playing at the highest level the sport has to offer them have to fundraise, scrape, ask for money, and look for sponsors, though some have assistance from their governing bodies. And that’s before having to secure the time away from their educational pursuits or professional careers to participate in selection camps and, if they’re lucky, the World Cup. There’s hardly a player who knows what it takes to play women’s baseball at the highest level better than Ashley Stephenson. The 35-year-old physical education department head at the Dr. Frank J. Hayden Secondary School in Burlington, Ontario is one of two original members of Team Canada, and is the most vocal advocate for the game on the squad. Stephenson has been with the national program since its inception in 2004 and is one of just three players in the world who has competed in all eight Women’s World Cups, as well as playing at the Toronto Pan Am Games in 2015. A multi-sport athlete for more than half her life, concussions stripped Stephenson of a chance to stay on the ice and keep playing hockey; she has been completely dedicated to baseball ever since. “I really don’t think people have any idea the sacrifices we make,” Stephenson said. “If there’s one thing that is a pet peeve of mine, it would probably be that. Lots of people ask if it makes me mad or upset if people think I’m a softball player and not a baseball player, but that doesn’t bother me as much – I make the correction, educate them, and move on. It’s hard to argue that Stephenson and her teammates – who include Kate Psota, one of the other two women who have competed in all eight World Cups, as well as Amanda Asay and Nicole Luchanski, who have been with Team Canada for seven of those events plus the Pan Am Games – play for nothing more than their love of baseball, their hope for seeing the sport grow, and to create opportunities for the next generation that they didn’t have. And then you hear some of their stories. There was that one time, in Caracas, Venezuela, when the World Cup had to be suspended because a player from Hong Kong was hit in the leg by a stray bullet on the field during a game. The tournament was held on a military base, and play resumed two days later. And there was that other time, when Team Canada travelled to Havana, Cuba for an exhibition series and was given a 10-minute notice for evacuation midway through its stay. After changing hotels because of a Category 4 hurricane, Stephenson awoke in the middle of the night to see her suitcase floating past her and a palm tree in her living room. Three days later, Team Canada returned to its original hotel and the show went on, though the games had a few more fans in the stands than usual; the stadium was used to house the homeless during the storm. But it’s what they do. It’s what Stephenson, Team Canada, and many other players along the way, have done for more than 14 years now. They’ve sacrificed time and money to compete, they’ve played without fanfare or recognition, they’ve battled through extreme conditions, and somehow, they still love the game. “The sacrifices we make are all worth it,” Stephenson said. 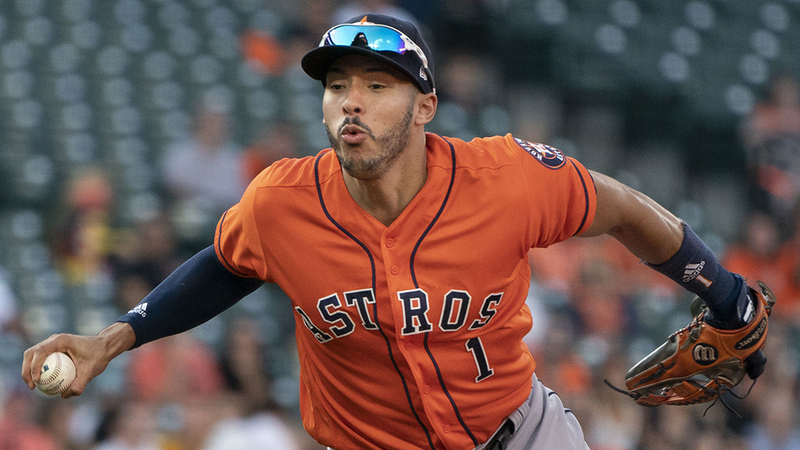 “Someone showed me a picture from after we got that final out [at this year’s World Cup], after I had that double play in the bronze-medal game, and I’ve launched myself over the pitcher’s mound to try to rush the mob that was happening in the middle of the field, and you can’t ever duplicate those feelings. You can’t ever replicate what it’s like to stand on the base lines and listen to your national anthem. You can’t duplicate the butterflies, the excitement the night before a big game – there’s no other way to bring that into your life. “I’ve played competitive hockey, and that was taken away from me a little bit too early because of concussions, and I truly miss it. I coach, I’m an official now, and I stay involved in the game but it’s not the same as being an athlete and being in there. People say it’s so stressful they can barely watch but that’s why you play, because you love those moments. They don’t all go your way, but when you get moments like that, and you meet some of your best friends, no one can take that away from you. Baseball Canada has created a number of memories for not only its own players, but for teams across the world. The organization has consistently been driving force in women’s baseball on the international scene, and the first country to host a World Cup. It was through that decision-making process that André Lachance became involved with the women’s program for the first time. Though he declined the offer initially, Lachance gave it a chance and was quickly taken by the women’s side of the game. He became an advocate for the sport, and helped pioneer a number of programs for women’s baseball in countries across the globe. Lachance is the only women’s national team manager to have remained with his team since the first World Cup in 2004, and the only skipper in the world to have participated in all eight World Cup competitions, though he did announce before this year’s event that he will be stepping out of the managerial role to serve as something of a general manager for the program. “André’s opinion of women’s ball from 2004 until now is drastically different,” Stephenson said. “He came in with an open mind for sure, and it was an opportunity to coach at an international level, but the level of respect he has for the sport and what we could do as athletes has definitely gone up. That’s a testament to us as players for really working hard and getting better and better, and he’s provided a number of opportunities for us to get better and he’s supported us along the way. With the departure of Lachance from his managerial role, the young players coming through the system, and the expected exit of some of its longtime members in the next few World Cup cycles, Team Canada is entering a period of transition. Though Stephenson hasn’t made a final decision on whether she will continue playing, she knows what the squad will look for from it’s next manager. The Canadian squad has been among the baseball powerhouses over the years, winning two silver medals, three bronzes, and always remaining among the top five teams at each World Cup, adding a silver medal at its only shot in the Pan Am Games. 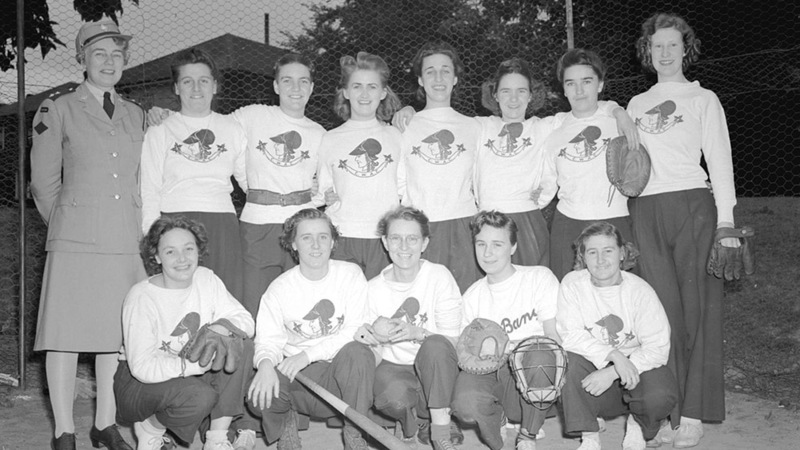 Those Games represented not only a chance to be around other elite athletes, but also offered a significant boost to women’s baseball in Canada. It aided in the coverage of the sport, the interest in the game, and the knowledge that women’s baseball is, in fact, a thing. “Over the last couple of years, you really have started to hear the buzz about trying to be a part of the national team, or trying to work your way up to that,” Baba said. “Before, it was kind of a secondary thought. When the Pan Am Games became part of it, that was big, and if we could remain there – hopefully we’ll get them back in 2023 – and give our females a chance to be a part of a multi-sport games, it will continue to grow. You hear the buzz across Canada about more opportunities for girls to play, there are starting to be more girls playing with girls, where whole teams are made up of girls, and that’s a tremendous growth factor. It will help our sport grow. But the Pan Am Games became bittersweet for everyone at Baseball Canada. After the women’s squad won silver on home soil, it wasn’t long before it learned that it wouldn’t return to the next such tournament. “The Pan Am Games are the highlight of my sporting career, bar none,” Stephenson said. “Even though we didn’t win and we didn’t come back with a gold medal – that would have been unbelievable – to be a part of a multi-sport games where you’re treated like an elite athlete at the highest level, being with all those other incredible athletes in the village and stuff like that, I’ll never forget that. That was easily the highlight of my sporting career. “But it is really disappointing to know that it was kind of a one-and-done, or it feels like that anyway. Mainly because men’s baseball, men’s softball and women’s softball are all headed to the next Pan Am Games, and in the Olympics with baseball being reinstated, softball being reinstated, but not women’s baseball or men’s softball. They’ve never been there, but you hope that the push comes and playing at an international level like the Pan Am Games, it would be identified or recognized and you hope it will continue to go up that ladder and there might be an opportunity to play in the Olympic Games. Despite having only a tenth of the population of the USA, and a quarter of that of Japan, Lachance and his team have helped Baseball Canada become a model for other countries, and a consistent force in growing the reach of the game, a legacy that should not be lost on the world. Everyone involved with Baseball Canada’s national team program is committed to continuing the growth of women’s baseball no matter their present or future roles. Lachance believes that transition is necessary to see continued progression, and that countries need to invest at the lower levels before they can achieve at the highest level. “We still have lots of work to have some countries to commit to women’s baseball development,” he said. “We still see some countries trying to build from the top down and that doesn’t work. You need some development, you need some foundation, and we’re trying to influence countries to do that. Baba has also seen firsthand the changes and improvements the game has seen, attending six of the eight Women’s World Cups and many other WBSC tournaments in between, and he hopes to champion smart changes to the format of events to help grow the game but keep its championship tournaments competitive at the same time. “It’s starting to become a global sport,” Baba said. “We had 12 teams at the World Cup. Some of them weren’t competitive with the best seven or eight, but it’s up to WBSC to make adjustments to see if we can’t get something that really works, like having six or seven or eight teams in one pool and five or six in another, with an A side and a B side, moving up and down a little bit. There were some scores that you really shouldn’t have in a world championship, but if we do it properly and make some adjustments over the next few years, it can be very competitive. Stephenson believes that a necessary development in the growth of the sport is an understanding of what the women involved are playing for, and what they are fighting for. On November 10, Baseball Canada is honoring its women’s national team at its inaugural banquet and fundraiser in Ottawa, Ontario. Not only will it give the organization a chance to recognize some of the accomplishments of the program and its supporters, but it aims to help the team become even more competitive in the future. Without the help of such a fundraising event, Baseball Canada would continue to find dedicated and talented athletes, to be sure. But the aim is to ease some of the burden that is laid on the athletes to give them back some of their love for all parts of the game. A competitive baseball player growing up, Alexis Budnicki has worked for the Toronto Blue Jays, and written for Baseball America, the Australian Baseball League and Canadian Baseball Network, among others. Follow her on Twitter @baseballexis. A very interesting article. I would have liked more background about the difference between coaching woman and men and how Lechance experienced it. As a man who loves baseball, it seems natural to me that women who love baseball should get the opportunity to play it. Great article, Alexis! Thanks so much.